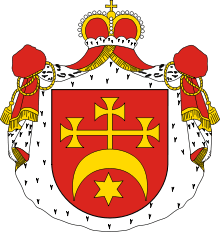 The House of Wiśniowiecki (Ukrainian: Вишневе́цькі, Vyshnevetski; Lithuanian: Višnioveckiai) was a Polish princely family of Ruthenian-Lithuanian origin, notable in the history of the Polish–Lithuanian Commonwealth. 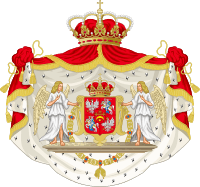 They were powerful magnates with estates predominantly in Ruthenian lands of the Crown of the Kingdom of Poland, and they used the Polish coat of arms of Korybut. The family tradition would trace their descent to the Gediminids, but modern historians believe there is more evidence for them to have descended from the Rurikids. According to the Gediminids relation theory, the ancestor of the family was Duke Kaributas (Ruthenian: Dymitr Korybut), a son of the Grand Duke of Lithuania, Algirdas. His son Fedor of Nieśwież started the family. 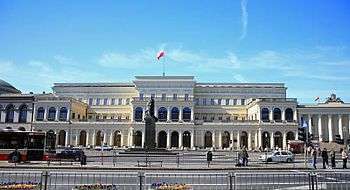 The name of the family can be traced to their estates in Wiśniowiec in the Crown of the Kingdom of Poland (now Vyshnivets, Ukraine). From their days as Ruthenian nobility, they held the title of Kniaz (prince). By the late 16th century, the family converted from Orthodox to Catholicism and became Polonized. 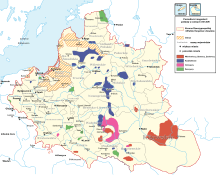 They gained much importance in the Polish–Lithuanian Commonwealth, with vast possessions in the 16th to 18th centuries on the territories of today's Ukraine, particularly the town of Vyshnivets (Wiśniowiec). Their estates were so vast and their position so powerful that they were known as the most powerful of magnates – the "little kings" ("królewięta"). 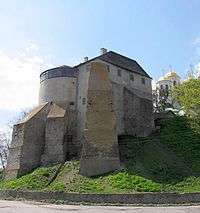 Their ancestral seat was the Vyshnivets Castle. The family's golden age was the 17th century, when its members accumulated much wealth and influence, held numerous important posts within the Commonwealth. 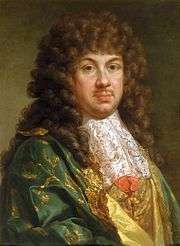 Likely the most notable members of this family were Michael I, king of Poland and Grand Duke of Lithuania from 1669 to 1673, and his father Jeremi Wiśniowiecki. The coat of arms of the House of Wiśniowiecki was the Korybut coat of arms. 1 2 3 4 5 Jerzy Jan Lerski; Piotr Wróbel; Richard J. Kozicki (1996). Historical Dictionary of Poland, 966-1945. Greenwood Publishing. p. 654. ISBN 978-0-313-26007-0. Wikimedia Commons has media related to Wiśniowiecki. Lubomyr Wynar. Wiśniowiecki in the Encyclopedia of Ukraine, vol. 5 (1993). (Polish) Herb i rodowód Wiśniowieckich. 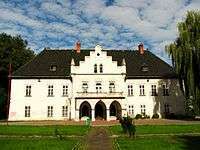 (Ukrainian) Pictures of Wiśniowiec castle.